LOOKING FOR A KING STREET RESTAURANT? Conveniently located in the heart of Melbourne CBD. You can find The Colonial Hotel King Street restaurant on the Corner of King and Lonsdale Street Melbourne. The Colonial Hotel offers a sumptuous menu of Mediterranean fare. The newly renovated dining space provides the perfect ambiance to enjoy lunch or dinner. Located in the heart of Melbourne The Colonial Hotel is perfect spot for work lunches or enjoying dinner before heading to any of Melbourne’s great cultural events such as rugby or football at Etihad Stadium or a show at Crown. Our restaurant will provide you with hearty and delicious food sure to keep you coming back. Call The Colonial Hotel and make a reservation and enjoy all we have to offer. The Colonial Hotel is perfectly positioned on the New York end of the city. Only a stone’s throw to Marvel Stadium, Southern Cross station, numerous parks and gardens, outdoor areas, markets, shopping centres, Crown casino and Festival hall. These close knit precincts offer a diversity in nightlife, bars, cafe dining and lifestyle offerings. King and Lonsdale street has been synonymous for many years with great food and great nightlife! In one of Melbourne’s oldest historically settled areas, King and Lonsdale street is a vibrant foodie, music and lifestyle haven. At the Colonial Hotel its friendly staff prides itself on taking the best produce and char grilling it to perfection. Choose from the varied menu where the house specialities include high quality steaks and fresh chicken parmigianas oven backed and not fried. Hansa our meat suppliers take great pride in winning many awards every year for their high quality of all meats including aged, grass fed ,grain fed and homemade small goods. The combination of smart decor, excellent coffee, cakes relaxed ambience and sensational fresh, clean food has garnered Colonials cafe/restaurant/bar rave reviews and a following of discerning diners. The Colonial hotel serves an extensive menu featuring steaks ,chicken, pork, seafood, burgers, salads, pastas, risottos, vegetarian and gluten free meals, with our weekly specials updated every Tuesday. Experience the selection of world class pizzas, which are renowned for their freshness and taste. Each pizza is made entirely to order from a variety or premium ingredients. You can dine inside or out, and we offer take away orders. 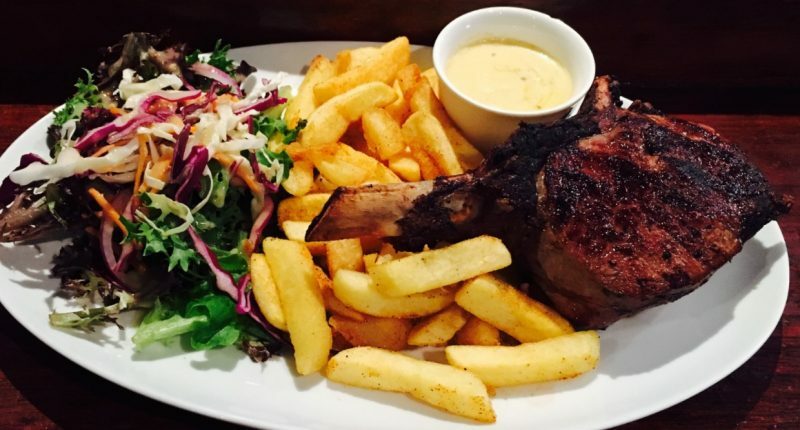 Be sure to take advantage of our all day menu ,which runs from 11.30am until 9.30pm each night. Dishes are complemented by a selection of quality wines, premium beers and spirits. It’s the perfect place to catch up with friends or colleagues for a savoury snack and a glass of wine or indulge in a wicked dessert.